Since the powder room is where guests usually go to freshen up, this little room can make a big statement about your home. When deciding how to decorate the powder room, you could go a traditional, understated route. But the powder room does give you a great opportunity to choose a bold decor. In such a small space, you can afford to be exuberant without having that exuberance extend into the rest of the house. Because it’s small, decorating it will be inexpensive, so if you go too far afield, changing it will be inexpensive, too. Here are some great ideas for creating a bold powder bathroom. The best place to start when creating a bold powder bathroom is the walls. Paint is easy and inexpensive. Try a bright color like lemon or lime for a real zing or go for a rich, saturated, jewel-toned color like burgundy. Wallpaper offers a vast selection of striking prints and patterns; for example, use a zebra-striped wallpaper for a safari-themed bold powder bathroom. A bold power bathroom should be a well-lit space that proudly shows off its decor. Try putting lights around the mirror for a glamorous Hollywood touch. Or light up the space with a crystal chandelier. Being bold with the lighting doesn’t necessarily mean that the fixture itself needs to be bold—instead, it can subtly support the overall theme of the room. A bold powder bathroom needs fixtures that enhance its style. For faucet handles and cabinet pulls, choose something ornate or even whimsical. 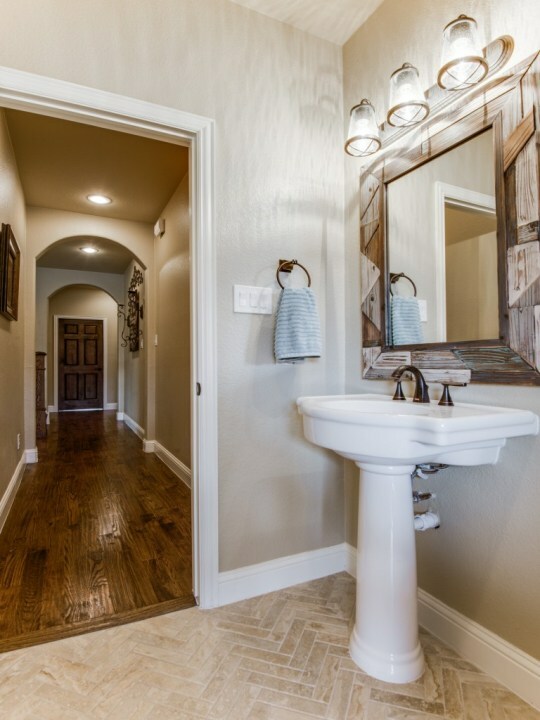 Look for fixtures that are striking, that really stand out. How about bejeweled cabinet pulls to go with your jewel-toned walls? What about cabinet pulls that are shaped like fish or birds? When choosing artwork for a bold powder bathroom, keep the theme of the room in mind. If you’ve gone with bright colors and whimsical fixtures, you might consider a colorful nautical or nature-themed print. Impressionist art goes with just about every decor. If you’ve chosen a jewel-toned theme, what about a bold Jackson Pollock print to create a startling contrast? Generally, the vanity is the centerpiece of the powder room. For a bold powder bathroom, you’ll want a bold vanity that can unify your decor. Consider a high-end cabinet of dark polished wood or a salvaged table for shabby chic elegance. What about an ultra-modern chrome wash basin? 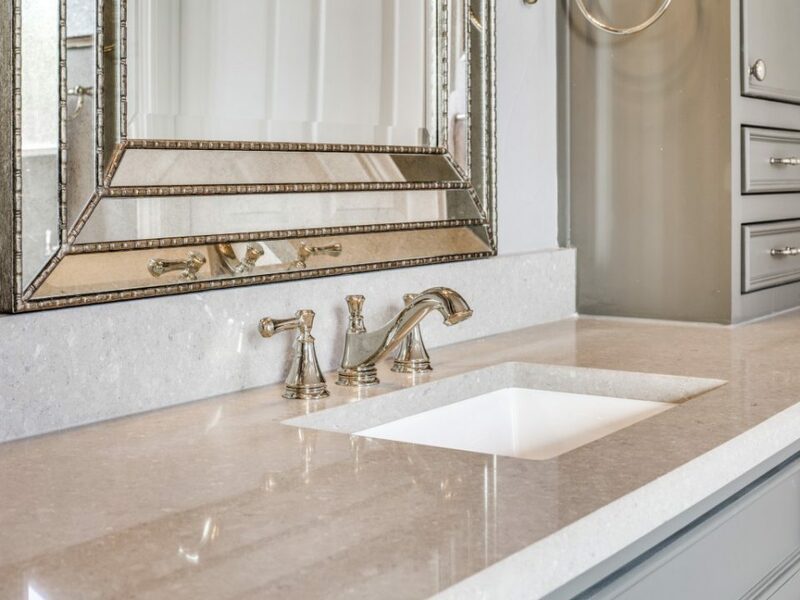 If you’re looking for something that will really set your powder room apart, consider a floating vanity mounted on the wall rather than on legs. If you want a bold powder bathroom, try flooring with a lot of visual interest. Consider black-and-white checkerboard tiles or create your own unique pattern using square or octagonal tiles. Or what about a tile floor in a single color that is not a neutral? The important thing is to make sure that the flooring is not only unforgettable but that it carries the statement you’re trying to make in the room. There are so many fun and appealing decorative options to choose from when designing a bold powder bathroom that you could find the elements of your design fighting for attention. To avoid a chaotic, overwhelming feeling in such a small space, be sure to select each component of your decor carefully. Remember, you can make as bold a statement as you want in your powder room and it won’t affect the decor of the rest of your house. Do you want to make your powder room pop with a small renovation? See how we can help with our bathroom renovation services.